Wow it’s been a crazy fun week filled with heaps of events and fun! 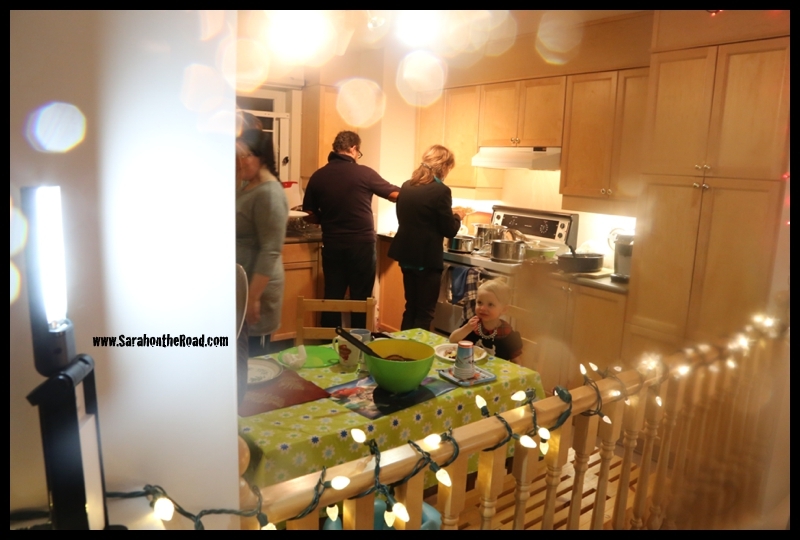 I started off my Christmas celebrations with a Christmas pot-luck at my neighbour’s house Christmas Eve. The Turkey with all the trimmings was amazing… my neighbour is an incredible cook! It was a great night with lots of great conversations with friends. 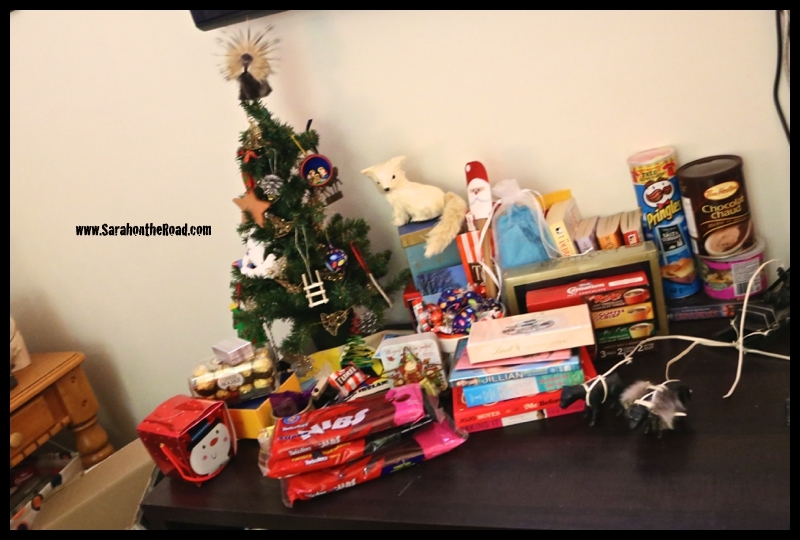 On Christmas morning I opened up all my packages my family had sent up… wow, I am so blessed! My family knew what to send the girl living in the arctic: chocolate, books & cherry nib liquorice sticks! 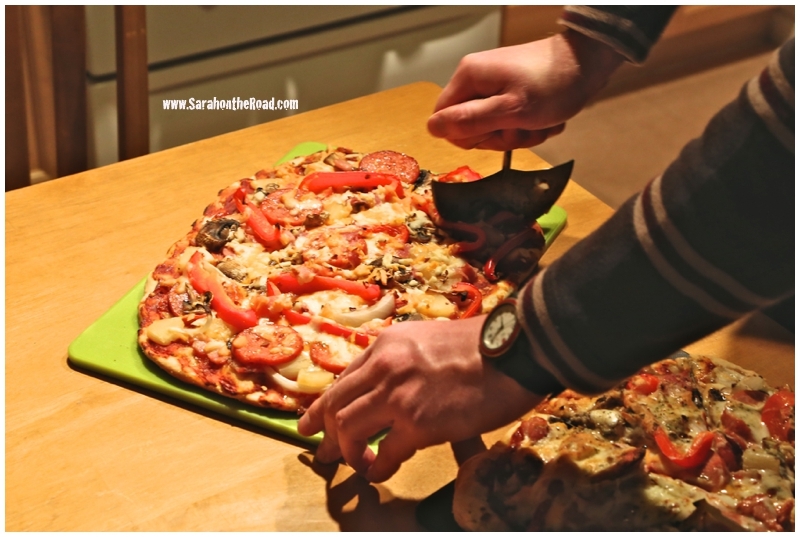 (all my favs…plus a few other things thrown into the mix!) Thank you all so much for sending me up a little something to open up! 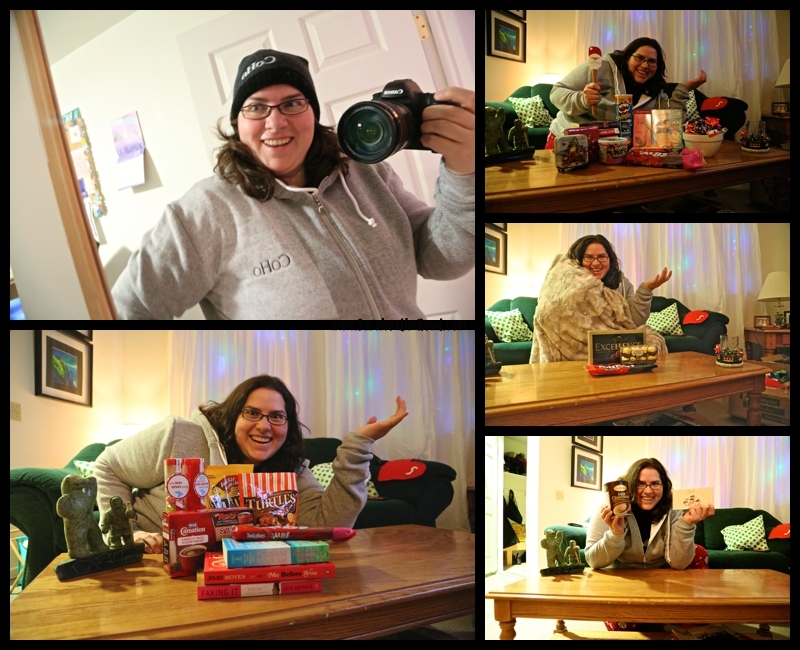 I opened up my FMS Gift Exchange gift…. WOW thank you Laura so much!!! 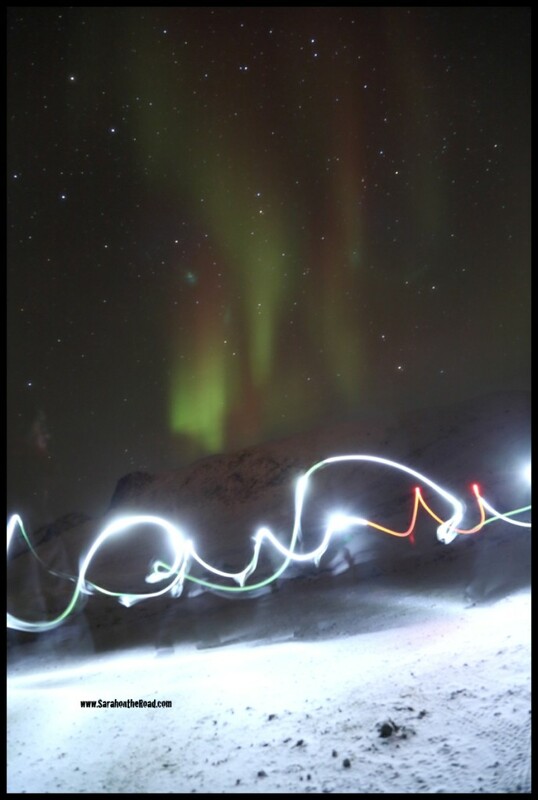 Everything was amazing… Loved seeing the photos of the cottage where you live. The Clay pot that your boyfriend made…and camera stamp & pad where all so thoughtful and awesome gifts!! For Christmas Dinner I had a few of the nurses in town over…I made roast lamb with all the trimmings! (…first time I made a roast and it totally turned out awesome!) Another person brought ham as well…so it was such a full and good meal with friends! Friday I headed off to work for the day…and then after work to the Gym at the high school to participate in some of the games! 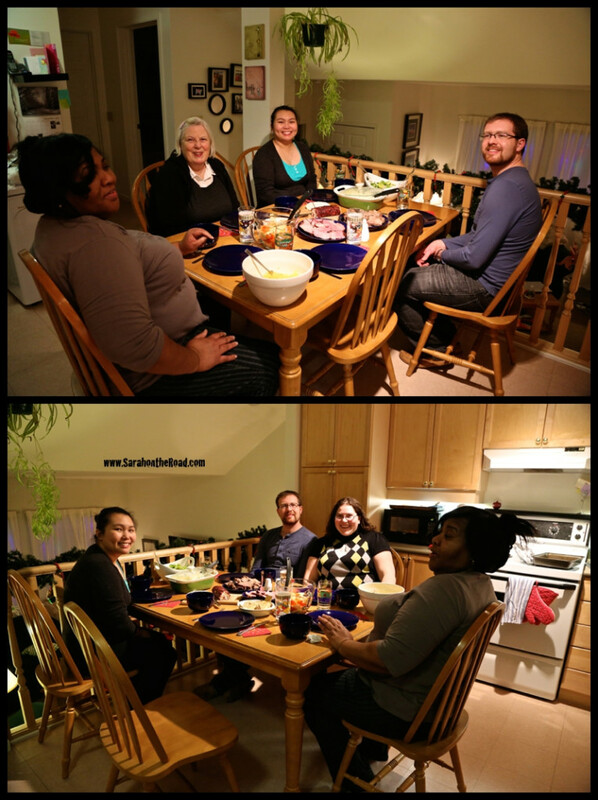 It was great fun with friends… I sat with my friend Eeta and her family! 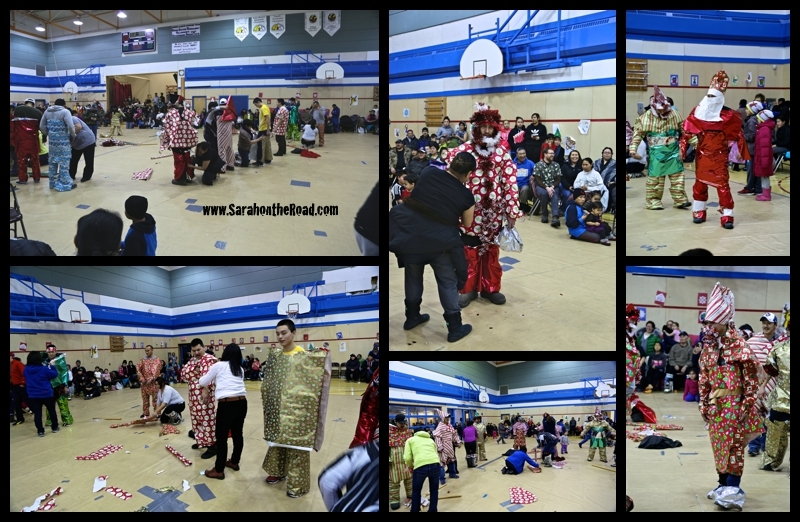 One of the best activities ever…these ladies had 10mins to create their partners into a Santa…using just gift wrap & tinsel garland and had to share tape! I couldn’t believe how awesome these “Santas” turned out! Most of the night was spend chilling with friends…but I did manage to do the Number Dance…but wasn’t the last one standing! 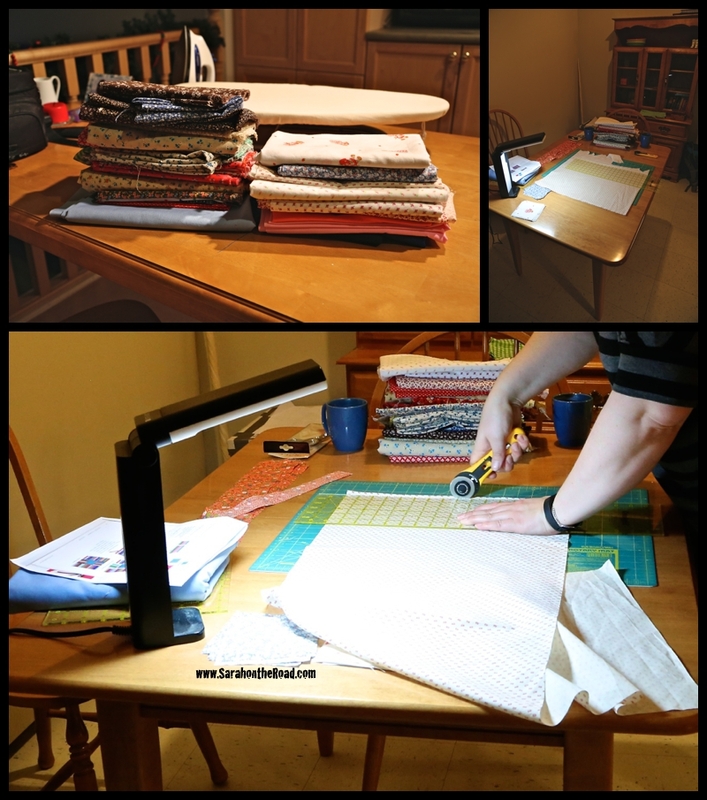 On Saturday I had my friend & quilt mentor come over… she’s going on holidays in January. Our plan was to put together on block for my quilt, this was so I knew what to expect and could do the process again 19 times. Lesson I learned that day… that even a 1/8 of an inch difference in a seam can make a HUGE difference when you are trying to make a 6 inch square block to start! I got a wee bit frustrated at one time…because the middle square wasn’t square at all. 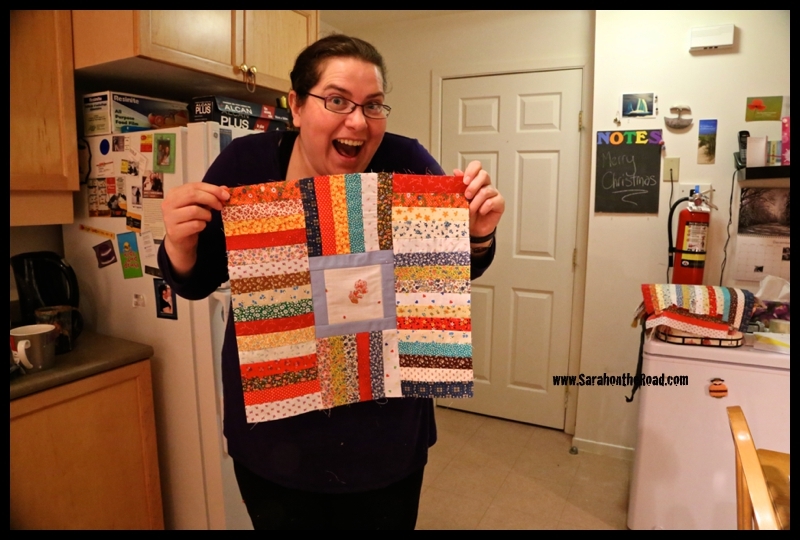 I might have even said this will be my first and last quilt…but in the end it all turned out. 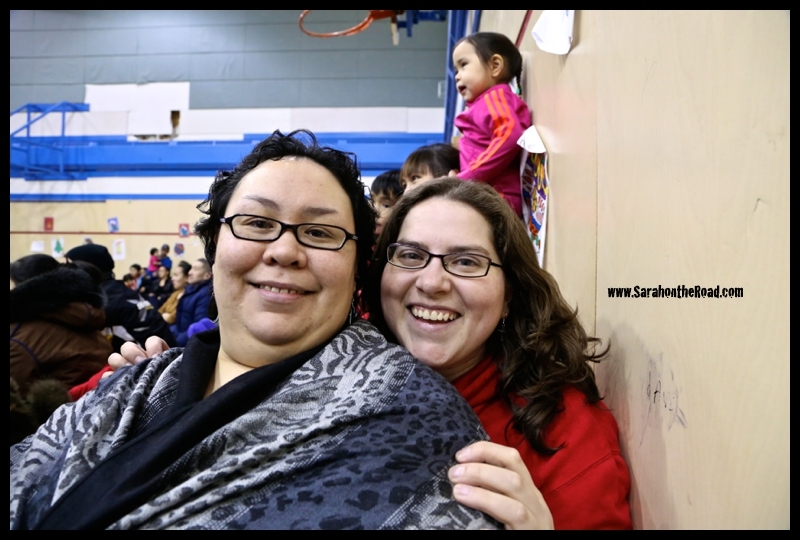 This entry was posted in Christmas, Holidays, Life in Nunavut on December 30, 2013 by Sarah on the Road. 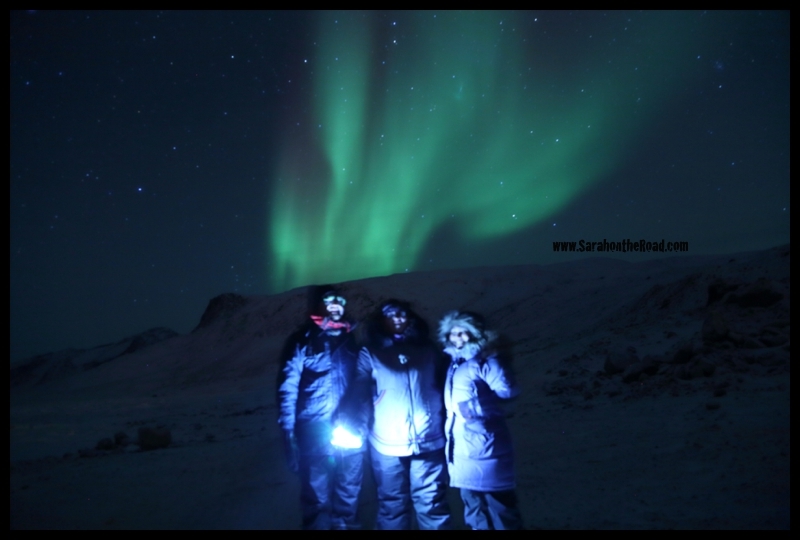 This entry was posted in Random, Rants & Reflections on December 25, 2013 by Sarah on the Road. Well I’m off to bed…because Santa is coming tonight… have a great Christmas Eve. 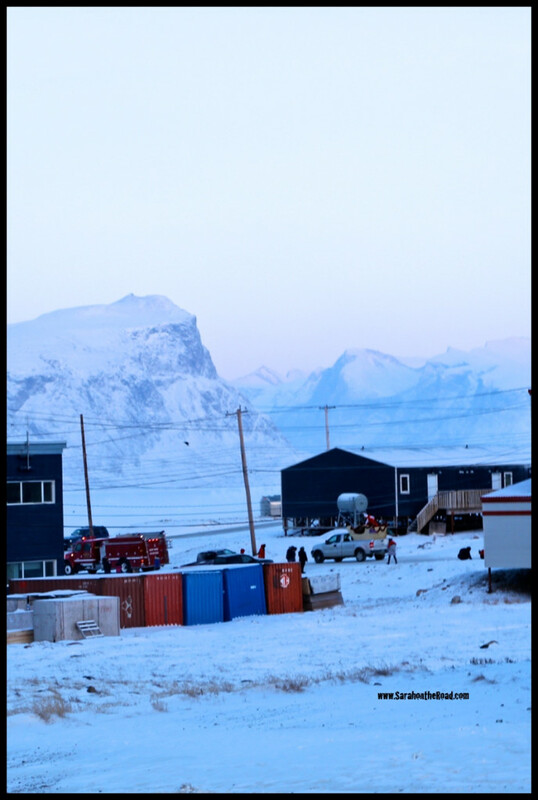 This entry was posted in Christmas, Holidays, Life in Nunavut, Photography on December 24, 2013 by Sarah on the Road. Since coming back to Pang in November I’ve joined some friends for a sewing group on Saturday afternoons. For the first weeks I worked on knitting projects…which was awesome! One of the other ladies is an amazing quilter…I’ve wanted to make a quilt for a long time. So I asked her if she’d help me with pointers along the way. 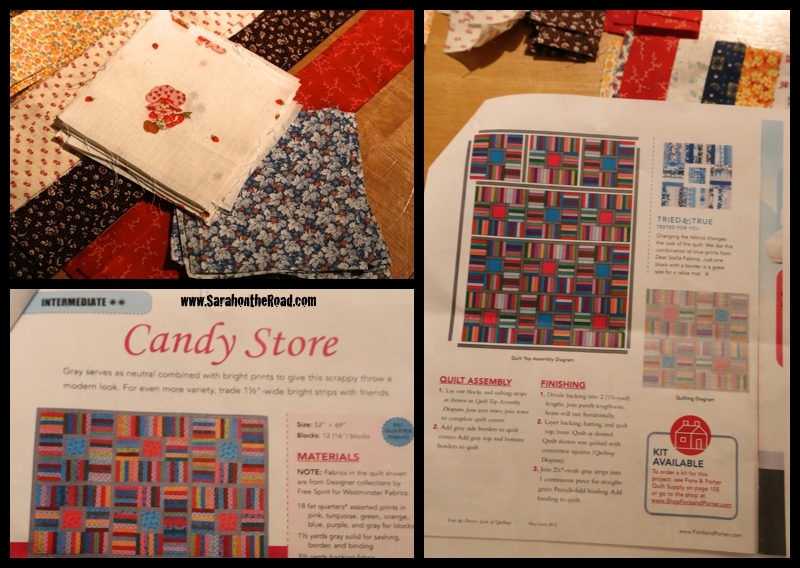 She agreed…so I started searching through some of her quilting magazines…I found this “candy store” pattern and LOVED it…so decided that would be my quilt. It’s a going to be a ‘scrappy’ style quilt and as each step is completed I’m getting more and more excited to see what the completed squares are going to look like! A few summers ago when I was at my Gramma’s cottage she was getting rid of material as she wasn’t doing any sewing projects anymore. 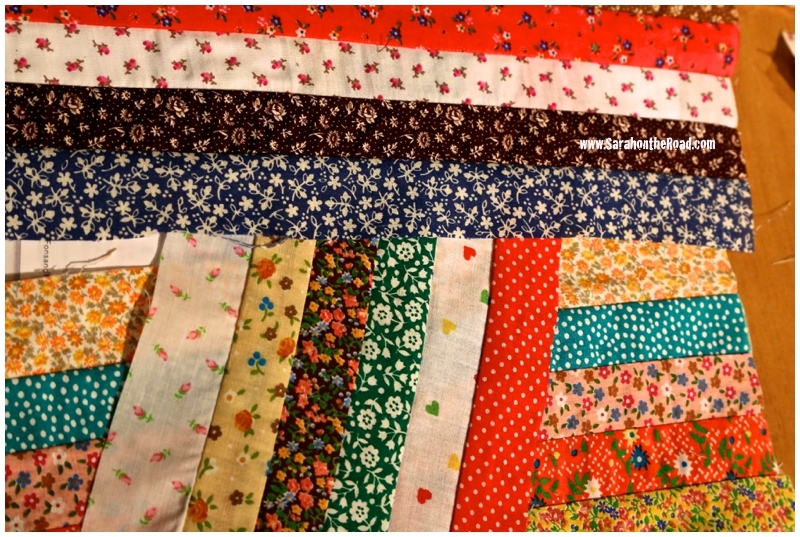 I looked at the stacks of material and thought I’d love to use it to make a quilt…since a lot of the material I remember having pjs or doll clothes made out of it. So after washing and ironing all of the material…I started the crazy task of cutting strips. Two weekends ago I learned how to ‘square’ fabric and then cut out 300+ strips of material 18inches long and 1 1/2 inches wide! It took some time, but was worth it in the end. 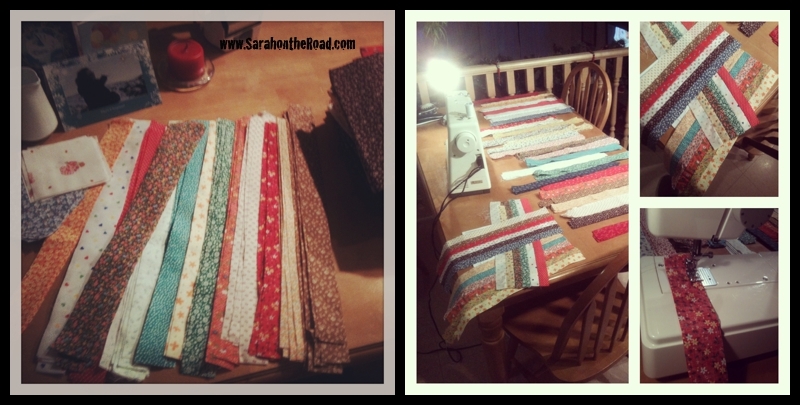 Yesterday…I started sewing my strips together. I’ve just started my sewing. I will have to make at least 8 sets that have 6 strips sewn together…then I will cut them into 5 1/2 inch blocks to fit into the square. Then I will have to make at least 8 sets by sewing 16 strips together for the other stripes in the main blocks! It’s going to take some time…but it should be awesome! …I’m loving all the colours and patterns coming together! I can’t wait until I have the quilt top together! Here’s two shots of my progress I posted on Instagram & Facebook….so excited! I’ll keep you posted on the progress…but I still have a long ways to go before I have a completed quilt! 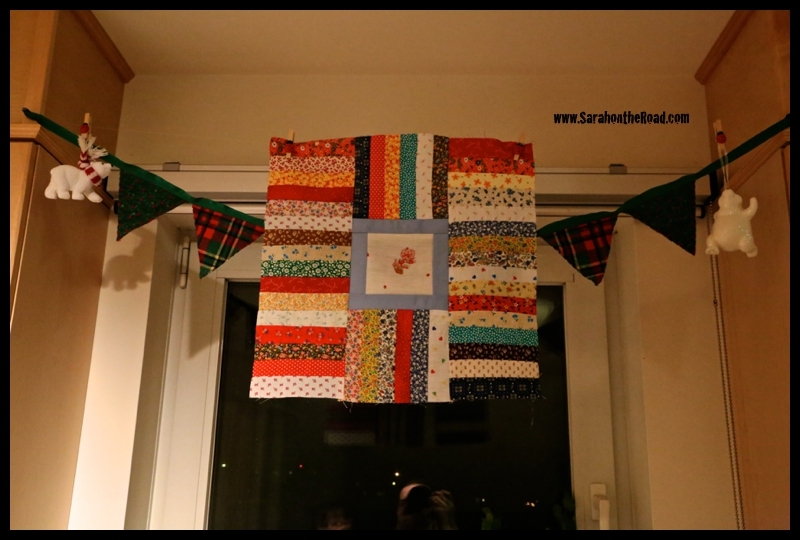 This entry was posted in Crafty Projects on December 23, 2013 by Sarah on the Road. 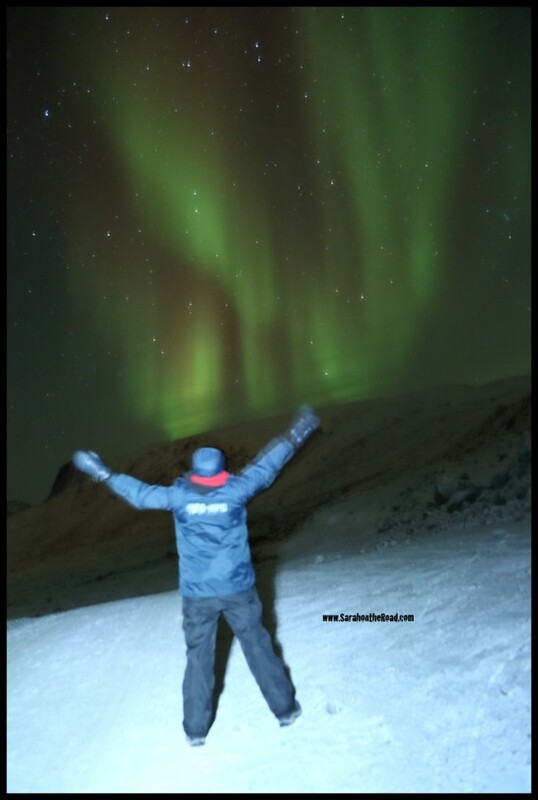 It’s such a busy time of year…I’ve been meaning up sit down and update the blog to catch up on all the awesomeness of what I’ve been up to, but there just hasn’t been time! So here’s a quick catch up of the events from the last 2 weeks! I wanted to post the awesome birthday gift I got from my secret elf…from the FMSGiftExchange! 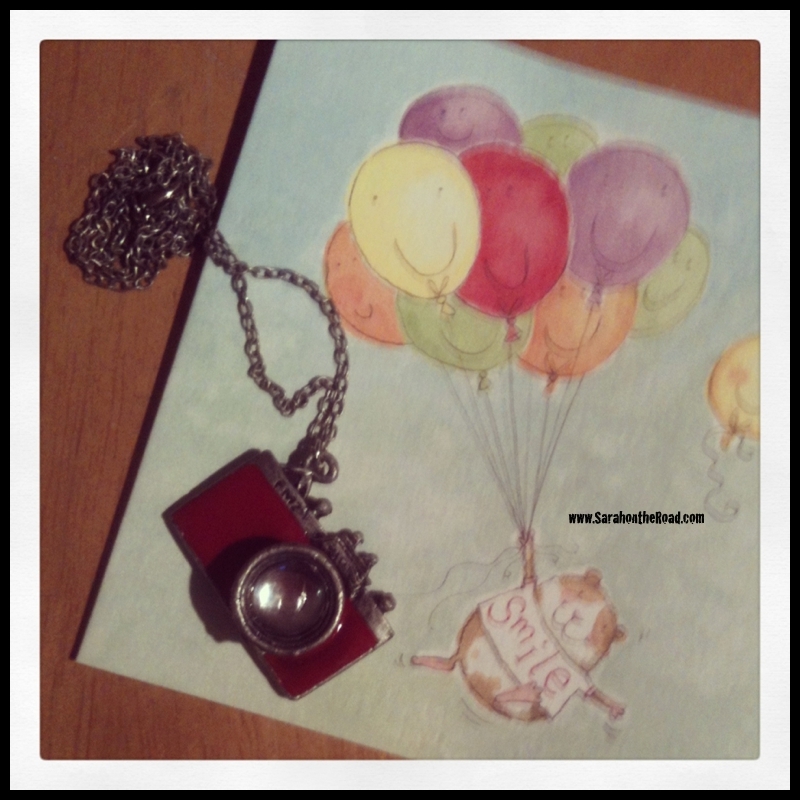 I got this cute card…and awesome camera necklace. It’s PERFECT, so ME and something I’d never think to buy myself! 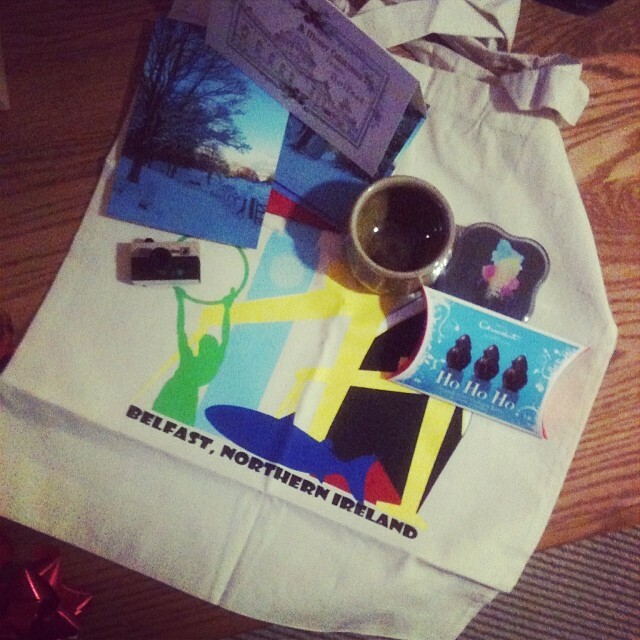 I love it…I can’t wait to open the other goodies under my Christmas tree in a few more days. 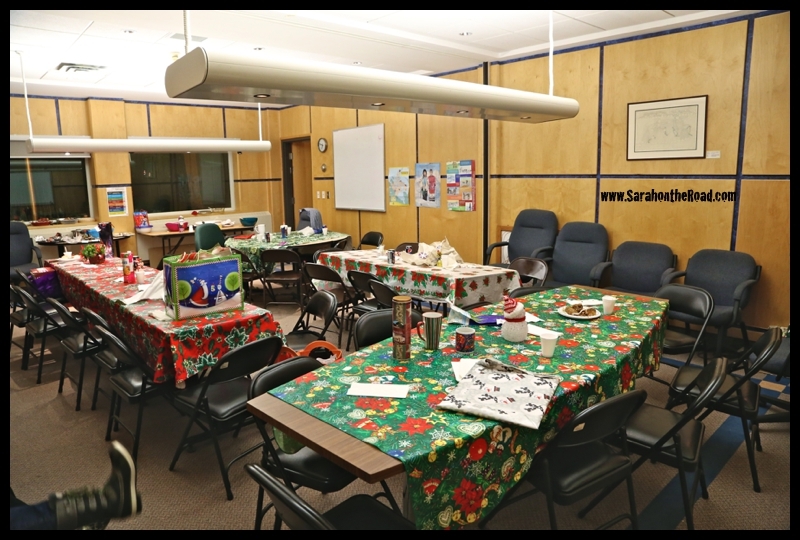 My office had their Christmas party on December 13th…( my Birthday) so it was fun to go to a HUGE pot-luck dinner and not have to cook. I had prepared earlier a lasagne…maybe not so “Christmas” Dinner appropriate, but it’s my favourite meal and usually have it on my Birthday! It was a fantastic night with my co-workers…with a secret Santa exchange! I got this amazing Ansel Adams calendar…another perfect gift for me. 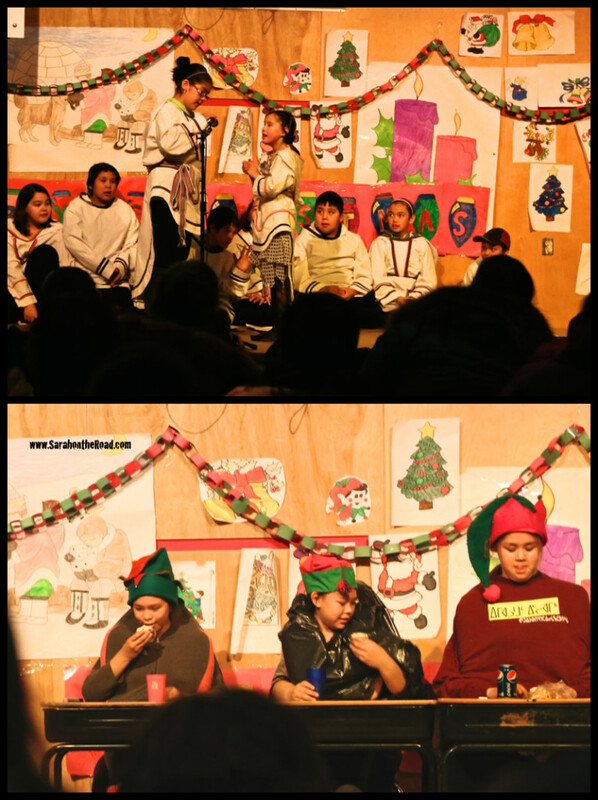 This past Tuesday and Wednesday the schools had their Christmas concerts. I wasn’t able to go to the Elementary school’s concert…but did attend the High School’s concert. My friend’s son was in one of the numbers because he goes to the high school daycare. 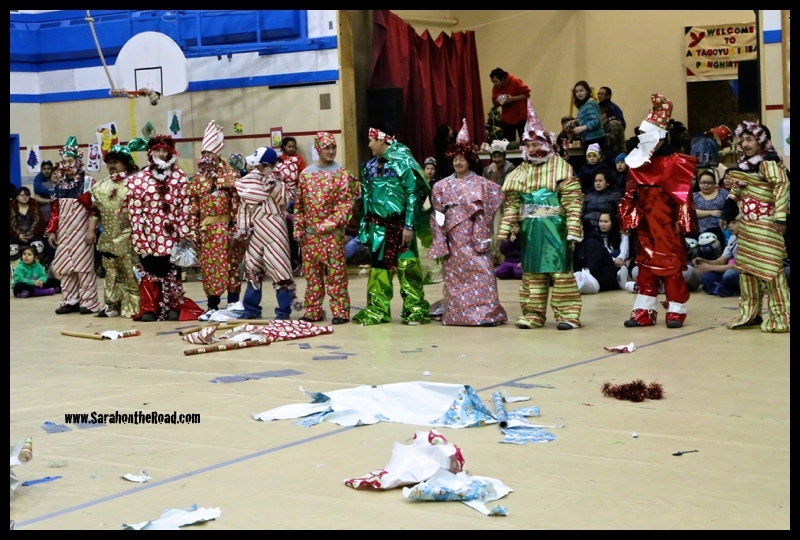 The kids were so cute…and did such a great job! 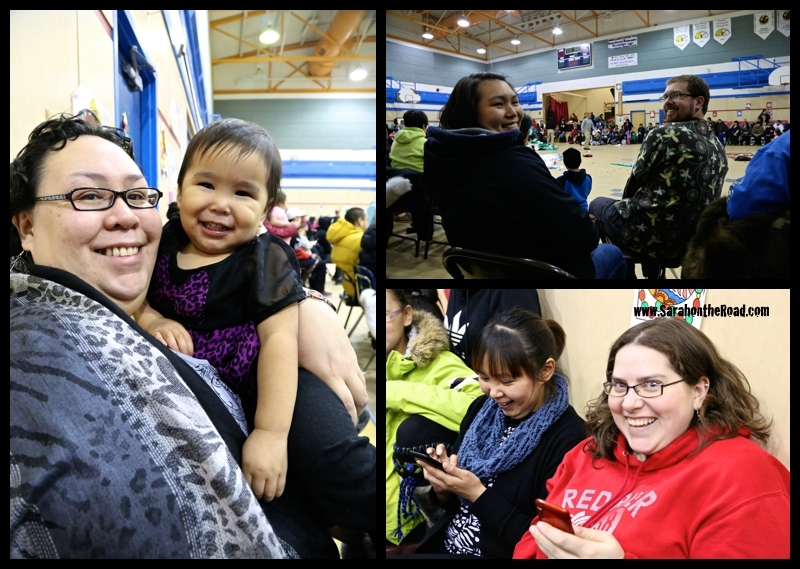 There were many different numbers from the various classes…drum dancing & throat singing! 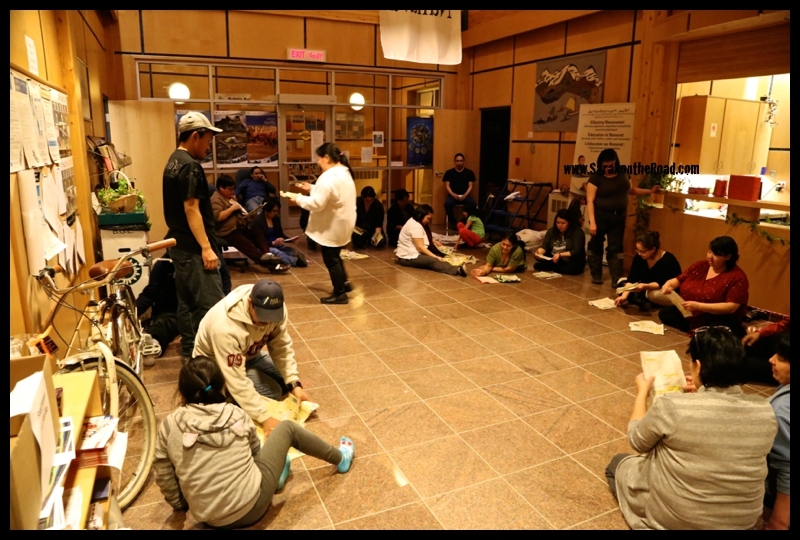 Plus lots of funny skits…I remember doing the “feeding” skit from when I was a teen in youth group…nice to see it’s still a hit with kids today! 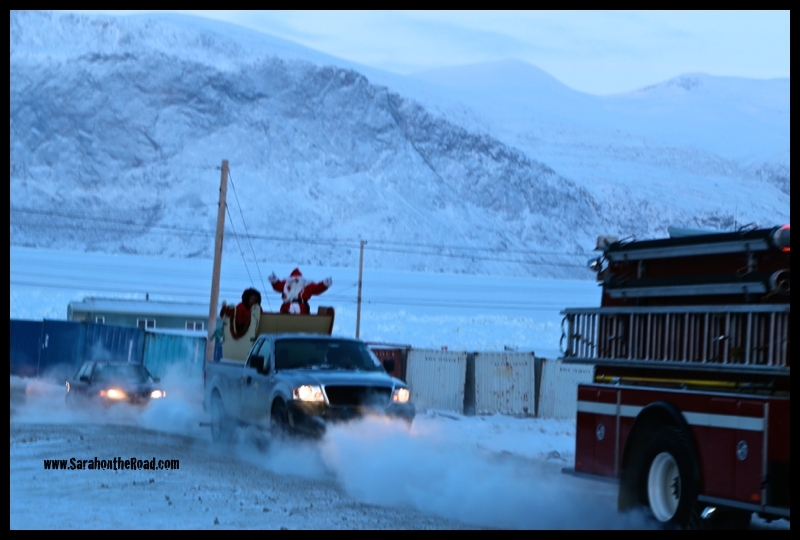 Yesterday, Santa came to town for a quick visit and a parade around town. Afterwards he met children at the community centre and gave out yo-yos!! 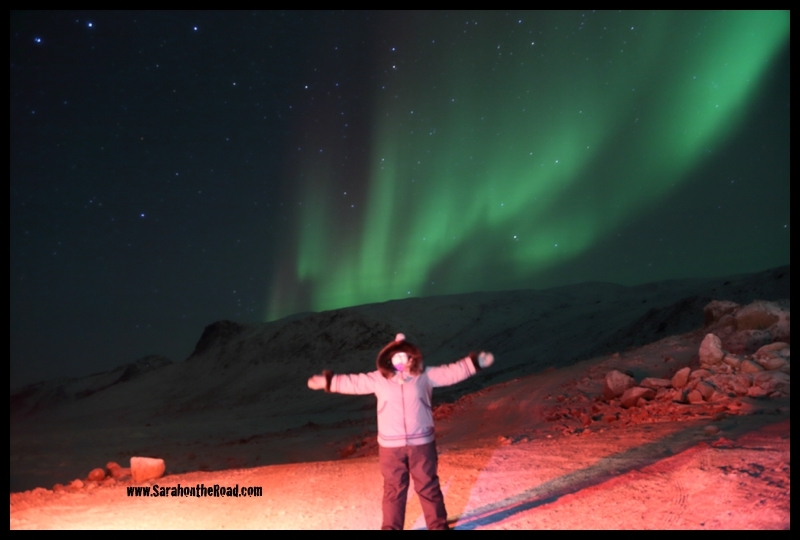 I suppose that’s the luck when you live so close to the North Pole…Santa can come visit just days before Christmas! 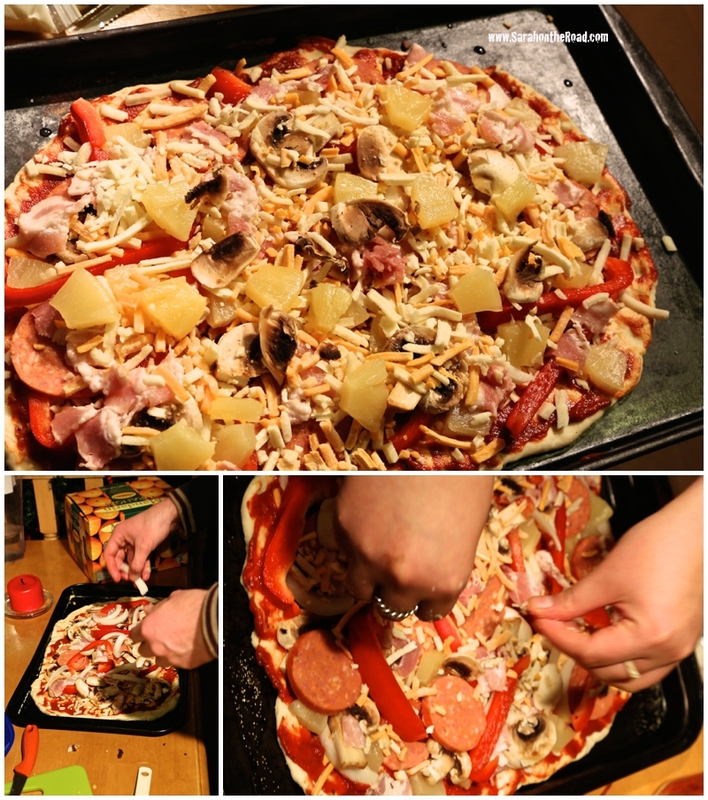 Saturday night I had some friends over…and we made PIZZA! 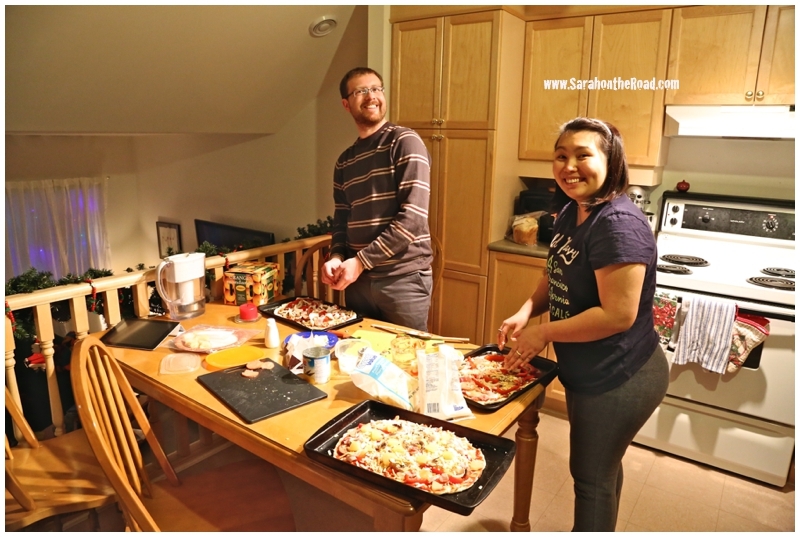 Making pizza (dough from scratch) has become a favourite dinner for me, it’s been awhile since I’ve done this…so it was time to it up! 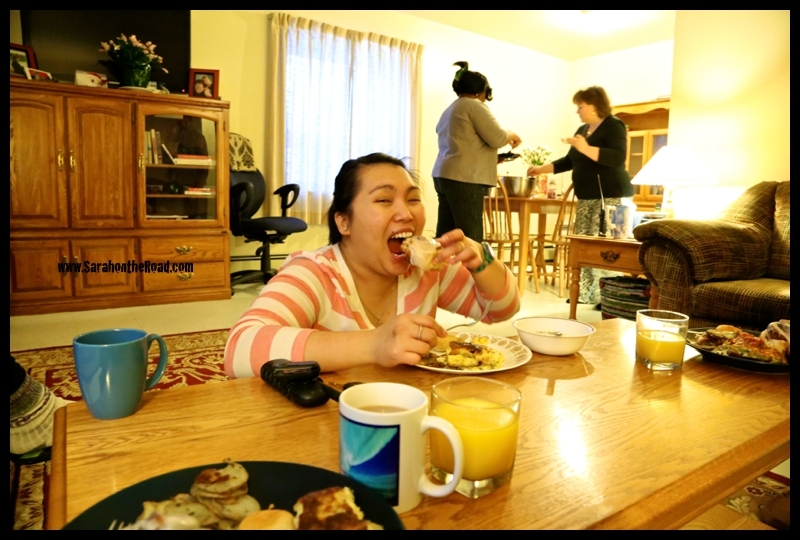 Later that night, after dinner I had some gals over to watch “Love Actually” one of my ALL-TIME favourite Christmas videos! It was nice to have some friends over for a girls movie night! 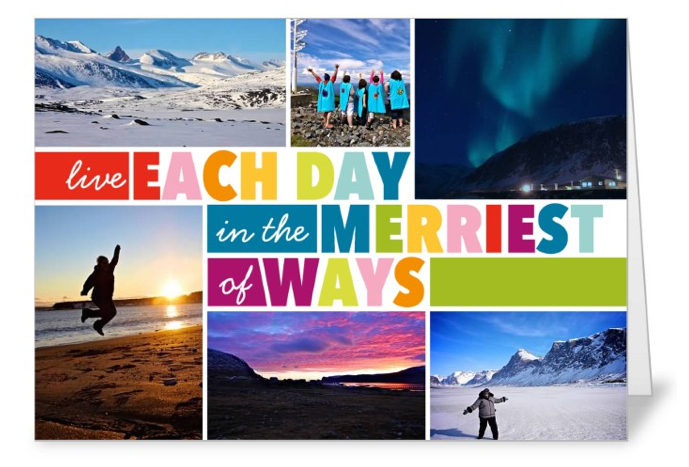 It’s nice to fill the darkest day of the year with friends and fun activities! I enjoyed my 2 hours and 40mins (approximately) of daylight…and looking forward to the return of the sun in February and longer days of light! 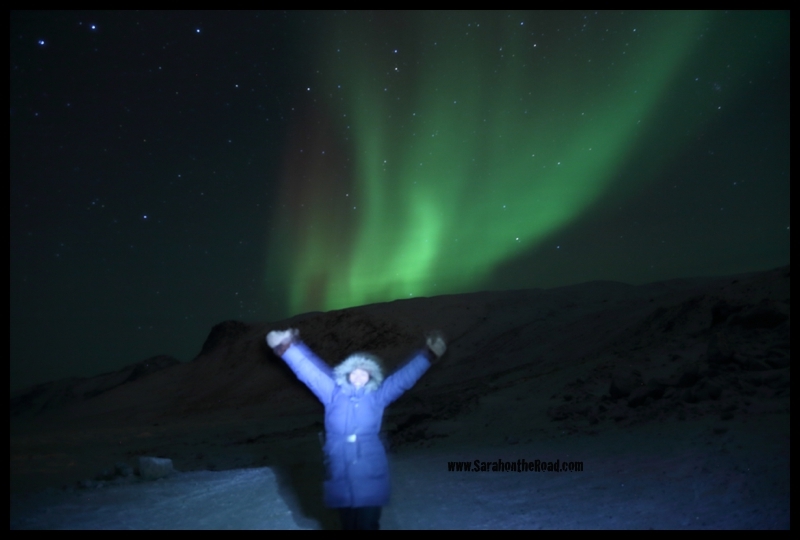 This entry was posted in Holidays, Life in Nunavut, Whirl-Wind Weekends on December 22, 2013 by Sarah on the Road.